Chris is the founding member of Real Wealth, a company dedicated to assisting individuals in discovering their “Why” and incorporating the “How”, to get out of your job and into your life! Chris McClatchey and his family live in Merritt Island, Florida. He owns several Real Estate Investment Companies and a Real Estate Brokerage in Brevard County. Chris is both a licensed Attorney and a licensed Realtor in the state of Florida. Chris has been a Real Estate Investor and a licensed Attorney since 1997. As an Attorney, he practiced Corporate and Insurance Litigation for the first five (5) years of his practice while residing in Ohio. Having moved to Florida in 2003, he became a licensed Attorney in Florida as well as a licensed Realtor. His law practice shifted to the area of Real Estate and he continues his practice today. As an Investor, Chris has opened and still owns a number of Real Estate Investment Companies and Partnerships. These companies have purchased real estate all over the United States. Although some of his holdings are currently outside the state of Florida, he now concentrates specifically in Brevard County, Florida. 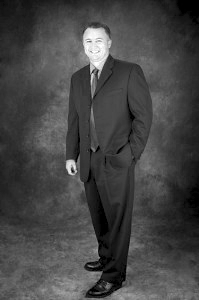 In 2009, Chris established Real Wealth Publishing, Inc. in order to educate and coach individuals on how to develop Multi-Million Dollar Real Estate Portfolios using their retirement plans, private money, creative financing techniques and partnerships. As a nationally recognized Real Estate Investor, Speaker and Coach, Chris assists individuals, from beginning investors to seasoned professionals, in learning how to build and maintain real wealth through the use of real estate investments.Chris has worked hard in creating cutting-edge products and specialized training in Creative Real Estate Techniques, Automation Systems, and Transaction Engineering Investments. From his 15 years in the business, Chris now shares his knowledge and techniques in his Seminars, Products and Coaching Program.